For a full list of included Pull Requests and closed Issues, please see the 0.17 milestone. cartopy.mpl.clip_path.clip_path() has been deprecated. It is a simple wrapper for Matplotlib’s path clipping, so use that instead. You can replace clip_path(subject, clip_bbox) by subject.clip_to_bbox(clip_bbox). cartopy.io.img_tiles.StamenTerrain has been deprecated. Use Stamen('terrain-background') instead. 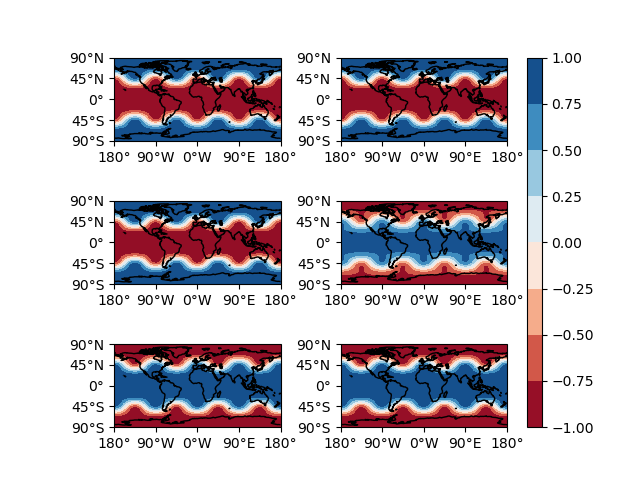 In CartoPy 0.18, the default value for the origin argument to cartopy.mpl.geoaxes.GeoAxes.imshow() will change from 'lower' to 'upper' to match the default in matplotlib. Support for matplotlib < 1.5.1 and NumPy < 1.10 has been removed. We are very pleased to announce that Ryan May has been added to the cartopy core development team. Ryan (@dopplershift) brings a wealth of experience, and has already made significant contributions to the Matplotlib interface, extended projections, and helped modernise the development infrastructure. 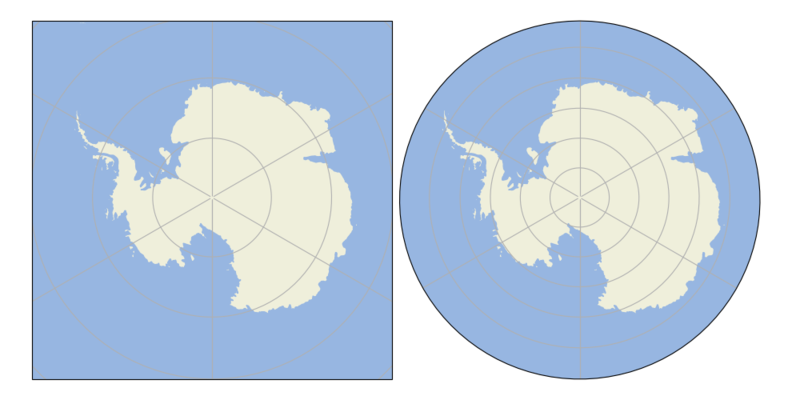 The cartopy.crs.Mercator class now allows a latitude_true_scale to be specified. A tiles url can now be passed directly to the cartopy.io.img_tiles.GoogleTiles class. The background_img() method has been added. This allows users to add a background image to the map, from a selection of pre-prepared images held in a directory specified by the CARTOPY_USER_BACKGROUNDS environment variable. 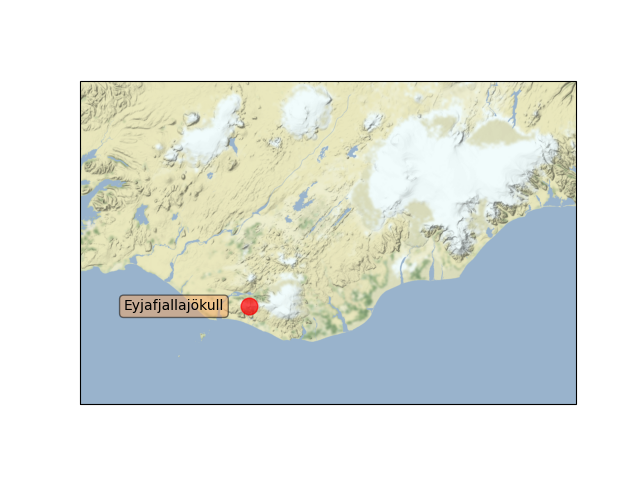 The Web Map Tile Service (WMTS) interface has been extended so that WMTS layers can be added to geoaxes in different projections. The NearsidePerspective projection has been added. Optional kwargs can now be supplied to the add_wmts() method, which will be passed to the OGC WMTS gettile method. 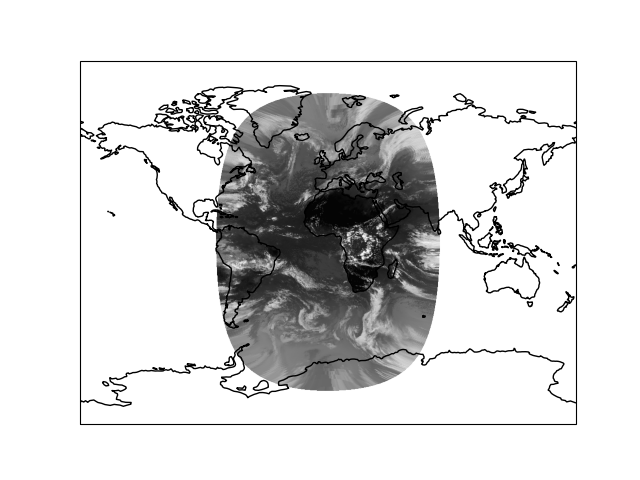 Zachary Tessler and Raj Kesavan added the cartopy.crs.Sinusoidal projection, allowing MODIS data to be visualised in its native projection. 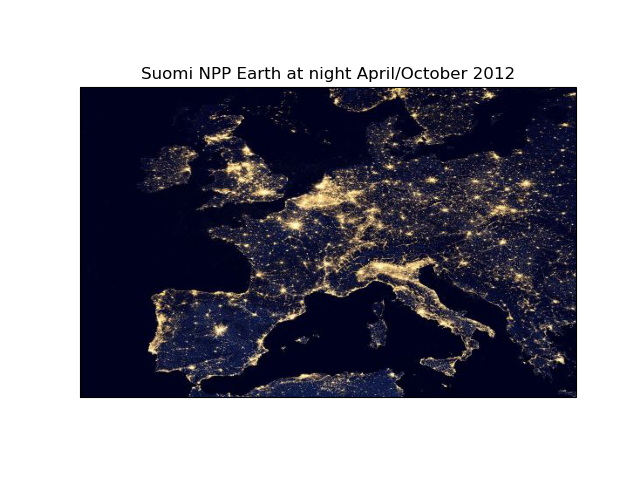 Additionally, a prepared cartopy.crs.Sinusoidal.MODIS projection has been made available for convenience. Joseph Hogg and Daniel Atton Beckmann added the cartopy.geodesic.Geodesic class which wraps the proj.4 geodesic library. This allows users to solve the direct and inverse geodesic problems (calculating distances between points etc). It also contains a convenience function that returns geodetic circles. This is used by cartopy.mpl.geoaxes.GeoAxes.tissot() which draws Tissot’s indicatrices on the axes. 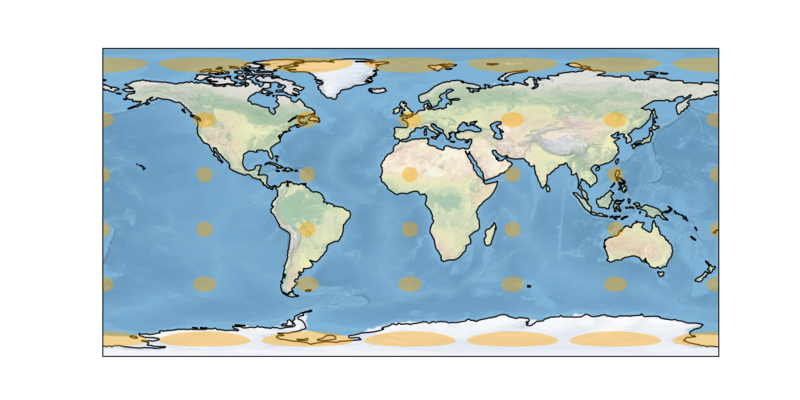 The SRTM3 data source has been changed to the LP DAAC Data Pool. The Data Pool is more consistent, fixing several missing tiles, and the data is void-filled. 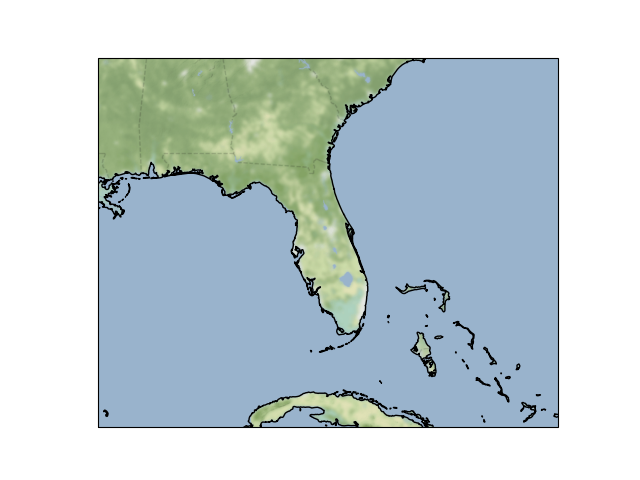 Consequently, the cartopy.srtm.fill_gaps() function has been deprecated as it has no purpose within the STRM context. The SRTM example has also been updated to skip the void-filling step. Additionally, this data source provides SRTM at a higher resolution of 1 arc-second, which may be accessed via cartopy.io.srtm.SRTM1Source. Cartopy now supports, and is tested against, Matplotlib 1.3 and 1.5 as well as NumPy 1.7, 1.8 and 1.10.
cartopy.crs.CRS.transform_point() now issues NaNs when invalid transforms are identified. cartopy.crs.GOOGLE_MERCATOR has been moved to cartopy.crs.Mercator.GOOGLE. 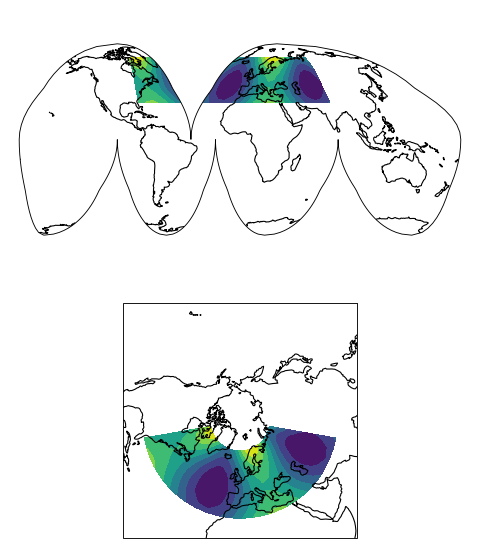 Conversion between Matplotlib matplotlib.path.Path and shapely.geometry.Geometry using cartopy.mpl.patch.path_to_geos() and cartopy.mpl.patch.geos_to_path() now handles degenerate point paths. Update of tools/feature_download.py to allow mass download of feature data rather than on-demand downloading. We are very pleased to announce that Elliott Sales de Andrade was added to the cartopy core development team. Elliott has added several new projections in this release, as well as setting up cartopy’s Python 3 testing on TravisCI and generally improving the cartopy codebase. Support for Python 3, specifically 3.3 and 3.4, has been added. Some features that depend on OWSLib will not be available as it does not support Python 3. Two new projections, AzimuthalEquidistant and AlbersEqualArea have been added. See the Cartopy projection list for the full list of projections now available in cartopy. A new SRTM3 RasterSource has been implemented allowing interactive pan/zoom of 3 arc-second elevation data from the Shuttle Radar Topography Mission. 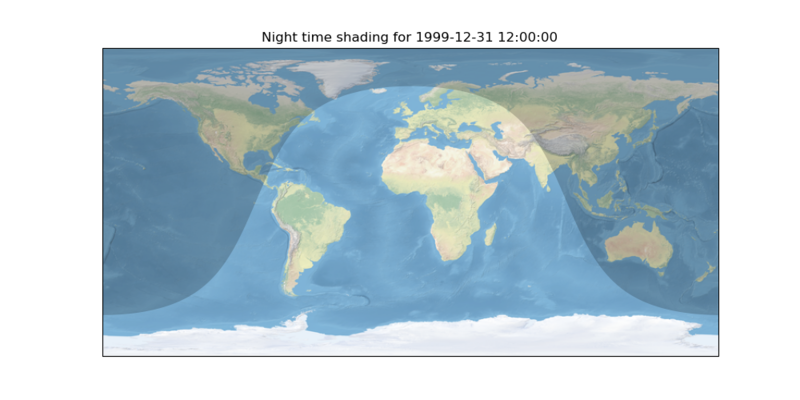 The SRTM example has also been updated to use the new interface. The SRTM module has been re-factored for simplicity and to take advantage of the new raster source interface. Some methods have therefore been deprecated and will be removed in future releases. The function cartopy.io.srtm.srtm() has been replaced with the cartopy.io.srtm.SRTM3Source.single_tile() method. 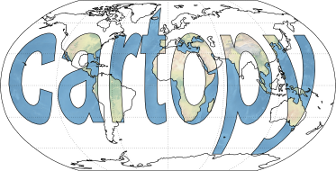 Similarly, cartopy.io.srtm.srtm_composite() and cartopy.io.srtm.SRTM3_retrieve() have been replaced with the cartopy.io.srtm.SRTM3Source.combined() and cartopy.io.srtm.SRTM3Source.srtm_fname() methods respectively. The cartopy.io.RasterSource.fetch_raster interface has been changed such that a sequence of cartopy.io.LocatedImage must be returned, rather than a single image and its associated extent. The secant_latitudes keyword in cartopy.crs.LambertConformal has been deprecated in favour of standard_parallels. Phil Elson added WMSRasterSource which provides interactive pan and zoom OGC web services support for a Web Map Service (WMS) aware axes. This capability may be added to an axes via the add_wms() method. Generic interactive slippy map panning and zooming capability is managed through the new SlippyImageArtist and use of the add_raster() method. 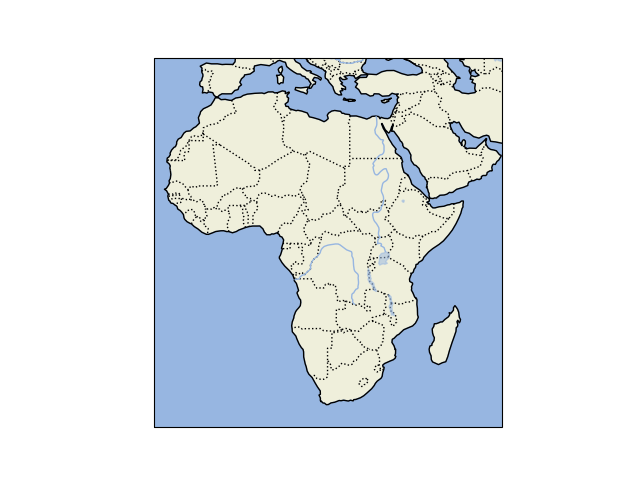 WMTSRasterSource was added by Richard Hattersley to provide interactive pan and zoom OGC web services support for a Web Map Tile Service (WMTS) aware axes, which is available through the add_wmts() method. This includes support for the Google Mercator projection and efficient WTMS tile caching. This new capability determines how to match up the available tiles projections with the target projection and chooses the zoom level to best match the pixel density in the rendered image. Lion Krischer extended the capability of GoogleTiles to allow support for street, satellite, terrain and street_only style Google Map tiles. Nat Wilson’s contribution brought us a major step closer to Python 3 compatibility. 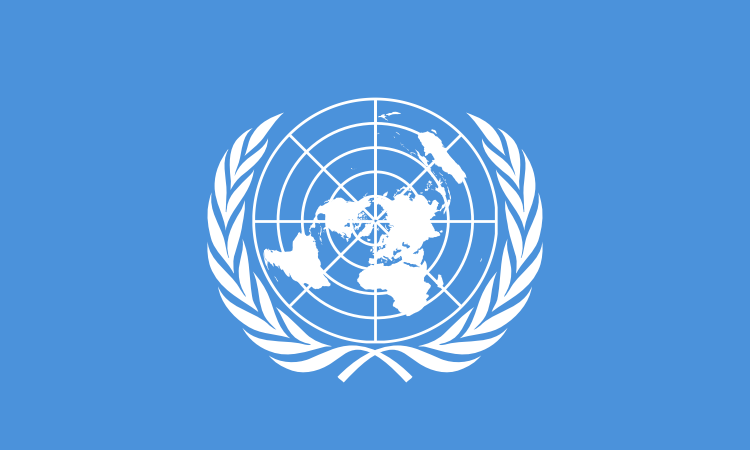 Support for the UTM projection was added by Mark Hedley. Andrew Dawson has added a new convenience utility function add_cyclic_point() to add a cyclic point to an array and optionally to a corresponding 1D coordinate. 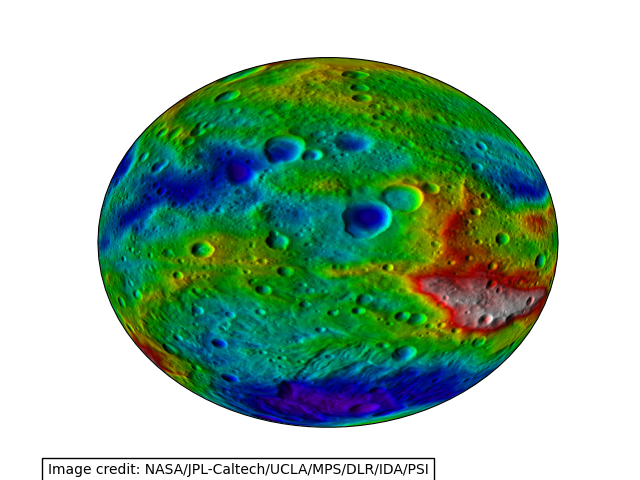 The ability to transform vector fields between different coordinate reference systems via the transform_vectors() CRS method. GeoAxes.quiver and GeoAxes.barbs for arrow and barb plotting. More information is available at Vector plotting. A regridding function for “regularising” a vector field in the target coordinate system. 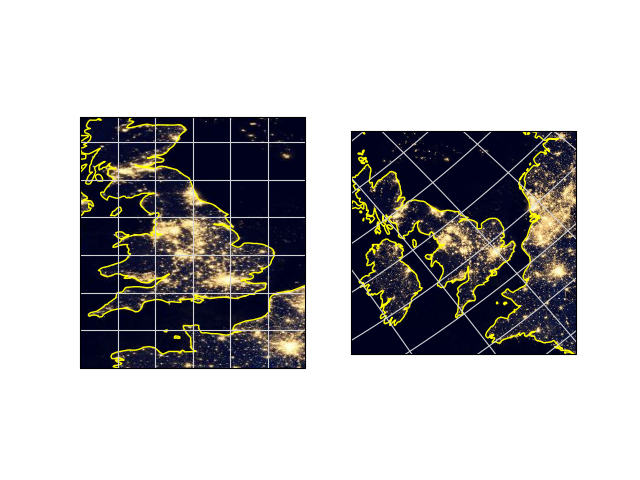 See also cartopy.vector_transform.vector_scalar_to_grid(). Both quiver() and barbs() accept the regrid_shape keyword to trigger this behaviour automatically. 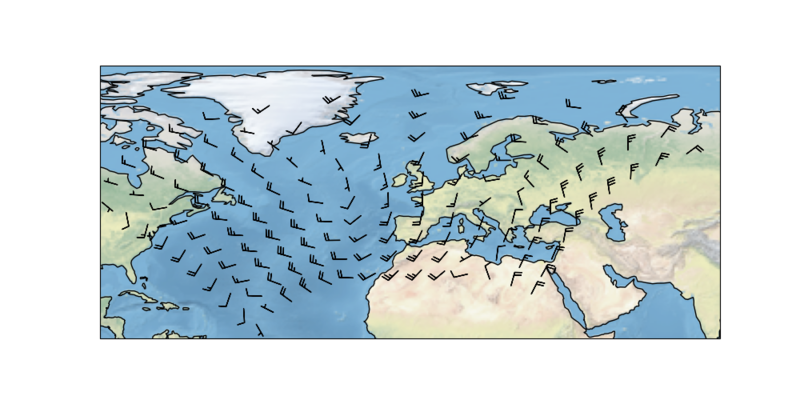 GeoAxes.streamplot adds the ability to draw streamlines in any projection from a vector field in any other projection. We are very pleased to announce that Bill Little was added to the cartopy core development team. Bill has made some excellent contributions to cartopy, and his presentation at EuroScipy‘13 on “Iris & Cartopy” was voted best talk of the conference. Other talks and tutorials during this release cycle include Phil Elson’s talk at SciPy‘13 (with video), Thomas Lecocq’s tutorial at EuroSciPy and a forthcoming talk at FOSS4G. Christoph Gohlke updated cartopy to support Windows 7. 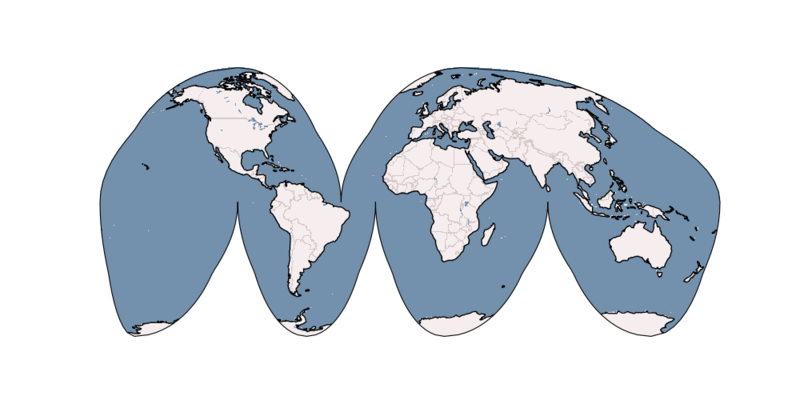 The Plate Carree projection was updated to fully handle arbitrary globe definitions. 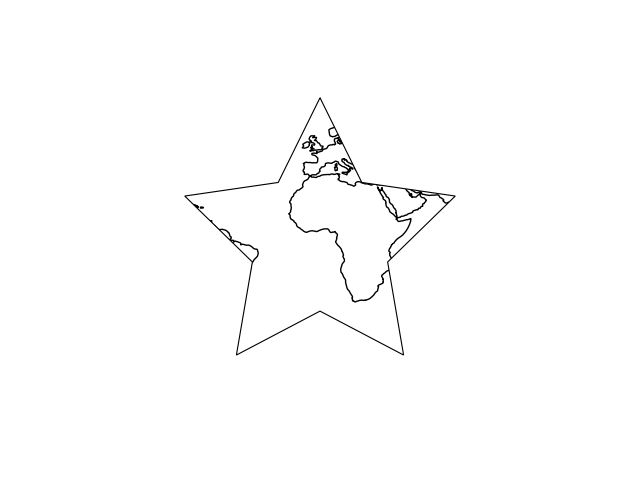 Peter Killick updated the Mercator class’ default globe to WGS84. His refactor paved the way for some follow on work to fully implement the Google Spherical Mercator (EPSG:3857) projection. Bill Little added the Geostationary projection to allow geolocation of satellite imagery. Byron Blay added the Lambert conformal conic projection. cartopy.io.img_nest.Img has been extended to include a cartopy.io.img_nest.Img.from_world_file() static method for easier loading of georeferenced images. Byron Blay and Richard Hattersley added a cartopy.crs.Globe class to encapsulate ellipsoid and optionally datum information for CRSs. 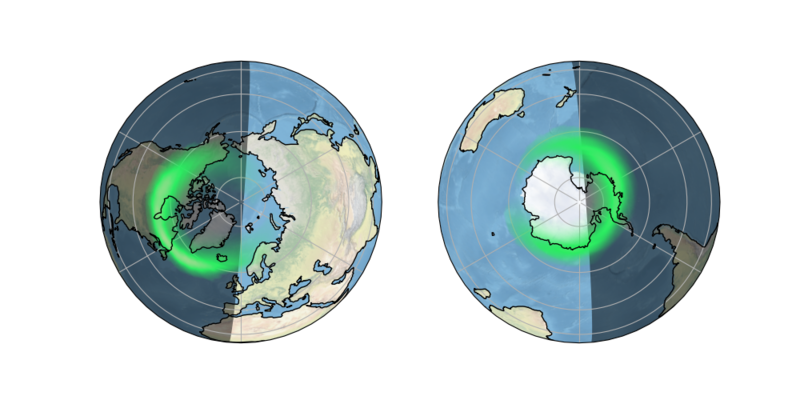 Globe handling in many projections, including Stereographic, has been added. This is a quick release which targets two very specific requirements. The goals outlined in the development plan at v0.6 still remain the primary target for v0.8 and beyond. Patrick Peglar added the ability to draw ticks for some limited projections when using the gridlines() method on an Axes. 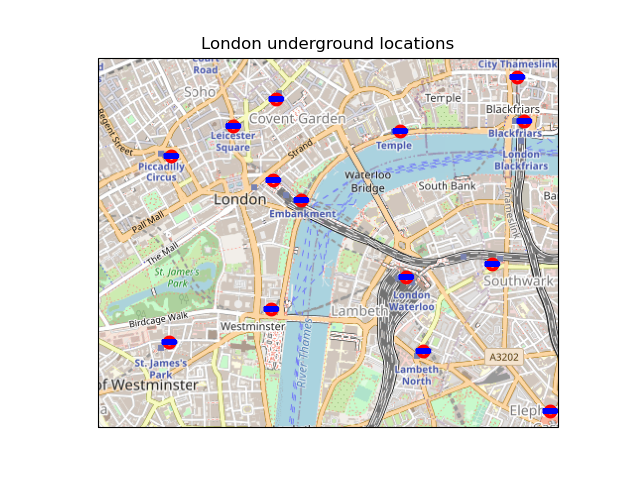 Phil Elson and Carwyn Pelley extended the cartopy documentation to include new tutorials such as Using the cartopy shapereader. Ian Edwards added a new example to create a favicon for cartopy. Phil Elson added a new example to show polygon analysis and visualisation with Shapely and cartopy. Edward Campbell added a new cartopy.crs.EuroPP projection for UTM zone 32. Andrew Dawson added a central_longitude keyword for the Stereographic family of projections. Phil Elson added a Downloader class which allows automatic downloading of shapefiles (currently from Natural Earth and GSHHS). The extension requires no user action and can be configured via the cartopy.config dictionary. Improve the projection definitions to support better control over datum definitions and consider adding WKT support (ticket). Begin work on vector field support (barbs, quiver, streamlines etc.). Continue identifying and implementing performance enhancements (particularly in contour drawing). Extend the number of projections for which it is possible to draw tick marks. This document explains the new/changed features of cartopy in version 0.5. Release 0.5 of cartopy continues the work to expand the feature-set of cartopy to encompass common operations, and provide performance improvements. An improved feature API to support future expansion and sophistication, and a wider range of pre-defined Natural Earth datasets. 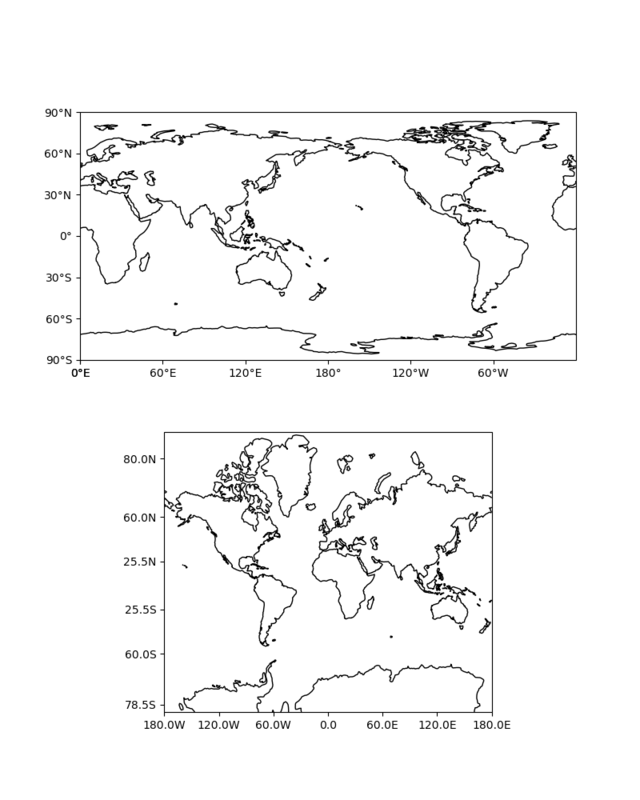 The method Axes.natural_earth_shp() has been replaced by the method Axes.add_feature() and the cartopy.feature module. A new features api is now available, see Using the cartopy shapereader.